This would make a great addition to my Le Creuset stoneware pieces . 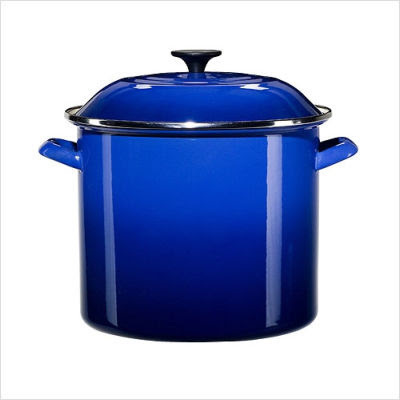 . .
Dina of Just Another New Blog is giving away a 6-quart Le Creuset stock pot! The winner gets to choose from any in-stock color from CSN Stores. There are tons of ways to earn extra entries. This contest is open to both U.S. and Canadian residents and runs through May 31st, 2010.